Let me be perfectly clear at the outset of this post: I have no personal interest whatsoever in “extreme” challenges, that is, testing myself against the elements, physical, psychological, or whatever one might come up with. Heck, I can’t even get up the courage to watch or listen to 13 out of 14 Red Sox postseason playoff games (see previous post, An Admission). But the two accounts I discuss below (one a film, one a book) of meeting physical and psychological challenges are mesmerizing, well told, and thought provoking. However, even though I have no personal interest in under going such challenges, I am fascinated by what these true stories reveal about human behavior — and attempting to understand human behavior has long been one of my own passions. This National Geographic documentary is an account of Alex Honnold’s (age 33) attempts to free solo climb (i.e., no ropes) the 3,000 foot high El Capitan Wall in Yosemite Park, arguably the most difficult solo climb in the world. Free Solo is directed and filmed by the award winning duo of Jimmy Chinn, photographer and mountaineer, and Elizabeth Chai Vasashelyi, documentarian. Their previous film, Meru, told the story of three climbers attempting to scale Mt. Meru in the Himalayas. It won the Sundance Audience Award in 2015. You don’t have to care about or have particular interest in rock climbing to be mesmerized by this film. It is both an intimate portrait of the climber and of the film making of this adventure. It’s a thriller told cinemagraphically in a way that will stay with you long after you leave the theater. 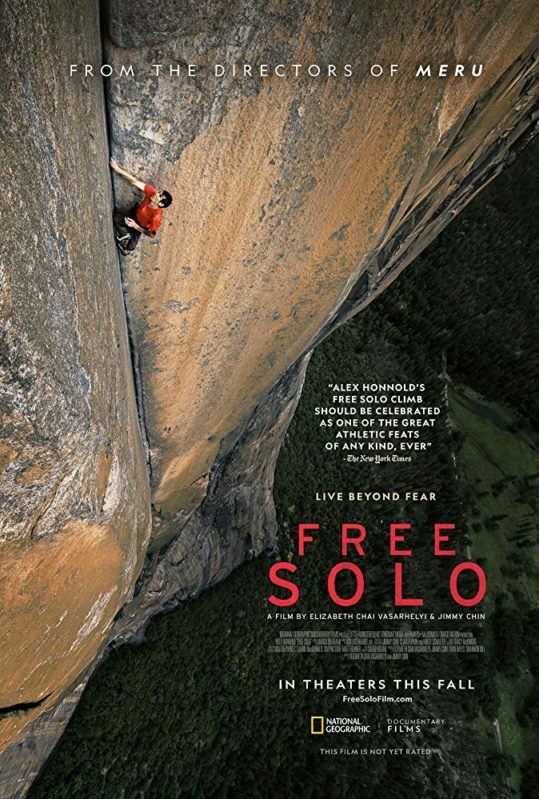 Free Solo is in the theaters in the DC metro area now and in other theaters around the country. See it while it’s available on the big screen. I suspect, unfortunately, it will not be there very long. This true story of adventure and obsession was originally a two part story in The New Yorker (Feb. 12 & 19, 2018) by writer and author David Grann (Killers of the Flower Moon, The Lost City of Z, The Old Man & the Gun, and The Devil & Sherlock Holmes). It tells the story of Henry Worsley, a British special forces officer who idolized Ernest Shackleton and sought to repeat two of Shackleton’s famous polar explorations (attempts to reach the South Pole, 1902-4, and to cross the Antarctic on foot, 1914). Worsley’s journeys took place in 2008 and 2015, roughly 100 years after Shackleton’s. The printed book is short, 146 pages, including wonderful photos of both Shackleton’s and Worsley’s adventures. It is also a detailed narrative of adventure and a spell- binding story about an individual who pushes himself to extreme limits. 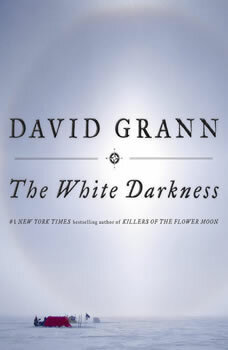 I listened to the Audible edition of The White Darkness, read, ‘dramatized,’ by Will Patton, in (an all too short) two hour and 28 minutes. Consider doing the same yourself. It’s simply superb. For me these two somewhat short accounts of “extreme” challenges are also stories of obsession, courage, and compulsion. They both go beyond the physical and psychological challenges of each journey. They both discuss the individual, where he came from, what seems to make up who and what he is, and equally of interest, the affect these accounts had on those around the two individuals, in one case a girl friend and a mother, in the other a wife and children. (Editor’s Note.1: If there is interest, Ellen and I will host one of our ‘pop up’ Sunday night suppers where we not only enjoy Ellen’s good cooking but also exchange thoughts and reflections about these two narratives.